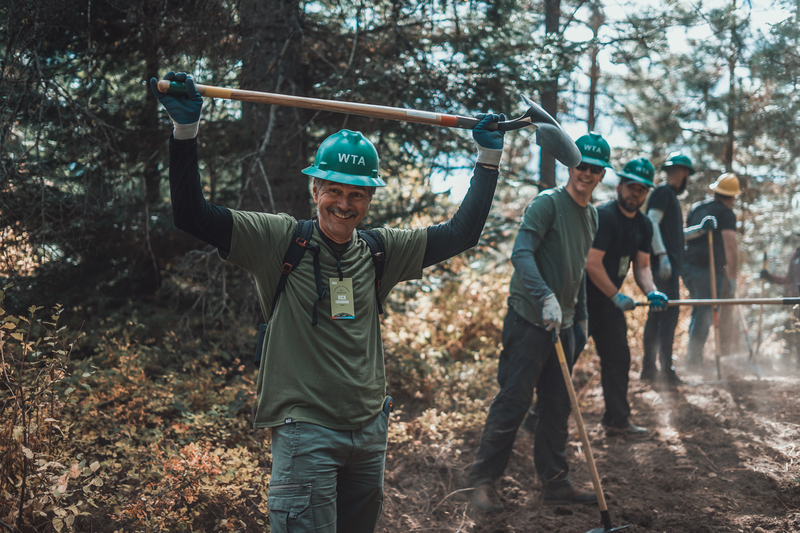 On October 2, the Mountains to Sound Greenway Trust, The Nature Conservancy (TNC), Washington Trails Association (WTA), Kittitas County Parks and Recreation District, and REI came together in the largest-ever trail building event to take place in the Greenway! 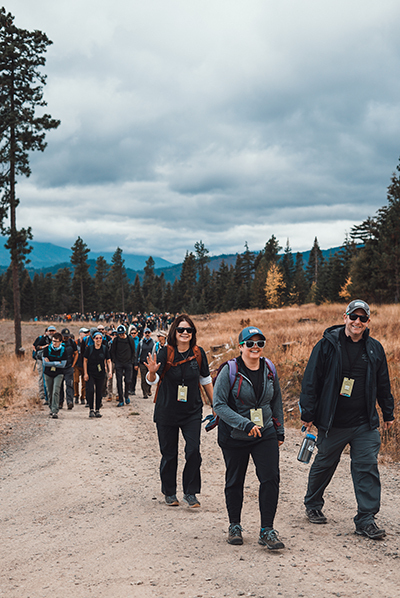 More than 300 REI executives and store managers turned out to build 2.3 miles of trail from the border of the Roslyn Urban Forest to the top of the Cle Elum Ridge. The “Ewok” trail is the first completed piece of the recently designed Towns to Teanaway trail system. After 18 months of site scoping, soliciting community comments, and sharing alternative options, the project leadership group behind Towns to Teanaway unveiled the final design for a non-motorized, multiple use, stacked-loop trail system connecting the towns of Ronald, Roslyn and Cle Elum with the adjacent Teanaway Community Forest. It was during the final comment period that REI reached out to the group to discuss a service project as part of their 2018 Leadership Conference. First and foremost, the project leadership group prioritized building an easier uptrack from each town to the ridge. REI funded excavation work to rough in the trail line (incidentally kickstarting a new local business – Tamarack Trail Builders!) as well as the hand tools needed for 300+ of their staff to do the finishing work. WTA flagged the trail line and provided expert crew leads, and the Greenway Trust oversaw event logistics, tool acquisitions, and coordination with REI. The Ewok trail will officially open in Spring of 2019. Meanwhile, the project leadership group is hard at work planning phased implementation, securing recreational easements, and developing a funding model for the broader trail system. Click here to learn more about Towns to Teanaway, or like the project on Facebook for updates and future opportunities to get involved! To view the final concept map, please go here.